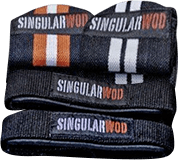 Single pull-up bar for Singular WOD structures. Available in two sizes: 109 cm and 180 cm. Pull-up bar and monkey-bar for Singular WOD structures. Available for two modules: 109 cm and 180 cm. Double pull-up bar for Singular WOD structure. Available in two sizes: 109 cm and 180 cm. Safe way so that the little ones can start in the exercises of dominated with total security. Triple pull-up bar for Singular WOD structures. Available in two sizes: 109 cm and 180 cm. Perforated arcade for Singular WOD structures. Used as a structural item and for hanging rings and ropes. Available in two sizes: 109 cm and 180 cm.